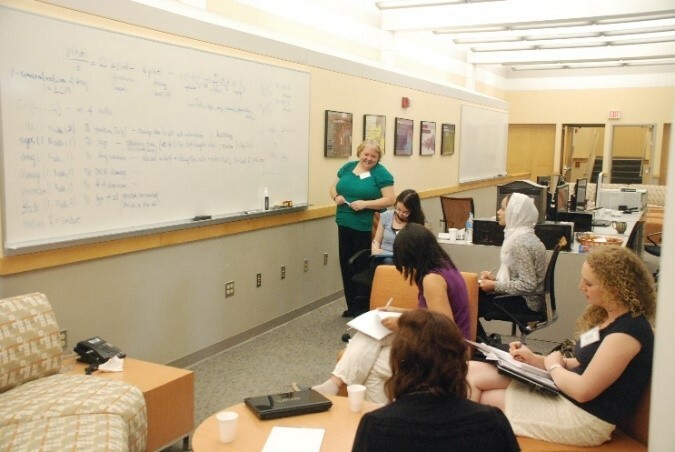 The benefit of such a structured program with leaders, projects and working groups planned in advance is based on the successful WIN, Women In Numbers, conferences and is intended to provide vertically integrated mentoring: senior women will meet, mentor, and collaborate with the brightest young women in their field on a part of their research agenda of their choosing, and junior women and graduate students will develop their network of colleagues and supporters and encounter important new research areas to work in, thereby fostering a successful research career. This workshop is partially supported by NSF-HRD 1500481 – AWM ADVANCE grant. Here's where you can make a splash at UCLA this summer. A new UCLA sweatshirt with UCLA in the background. I’ve meant to stop in here many times and somehow just never did, but some of my old UCLA shirts/sweatshirts are starting to look shabby. The equations of gauge theory lie at the heart of our understanding of particle physics. The Standard Model, which describes the electromagnetic, weak, and strong forces, is based on the Yang-Mills equations. Starting with the work of Donaldson in the 1980s, gauge theory has also been successfully applied in other areas of pure mathematics, such as low dimensional topology, symplectic geometry, and algebraic geometry. More recently, Witten proposed a gauge-theoretic interpretation of Khovanov homology, a knot invariant whose origins lie in representation theory. Khovanov homology is a “categorification” of the celebrated Jones polynomial, in the sense that its Euler characteristic recovers this polynomial. At the moment, Khovanov homology is only defined for knots in the three-sphere, but Witten’s proposal holds the promise of generalizations to other three-manifolds, and perhaps of producing new invariants of four-manifolds. This workshop will bring together researchers from several different fields (theoretical physics, mathematical gauge theory, topology, analysis / PDE, representation theory, symplectic geometry, and algebraic geometry), and thus help facilitate connections between these areas. The common focus will be to understand Khovanov homology and related invariants through the lens of gauge theory. The goal of the lecture is to describe a gauge theory approach to Khovanov homology of knots, in particular, to motivate the relevant gauge theory equations in a way that does not require too much physics background. I will give a gauge theory perspective on the construction of singly-graded Khovanov homology by Abouzaid and Smith. The Sachdev-Ye model was originally a model of quantum spin liquids that was introduced in the mid-1990′s. In recent years, it has been reinterpreted by Kitaev as a model of quantum chaos and black holes. This lecture will be primarily a gentle introduction to the SYK model, though I will also describe a few more recent results. Clean boards before complex analysis.